Push Generation 1 has a plastic arm. Push Generation 2 has a metallic arm or is red/ silver* (see pictures below). *please note there are some Generation 2 Push with the plastic tip. If you attempt a firmware upgrade and it fails, it is possible you have Generation 1. All help articles for the Legacy MicroBot Push App are location here. MicroBot Push Generation 1 has limits to the firmware updates. Please see this article to try updating the firmware of your MicroBot through the MicroBot Push App. 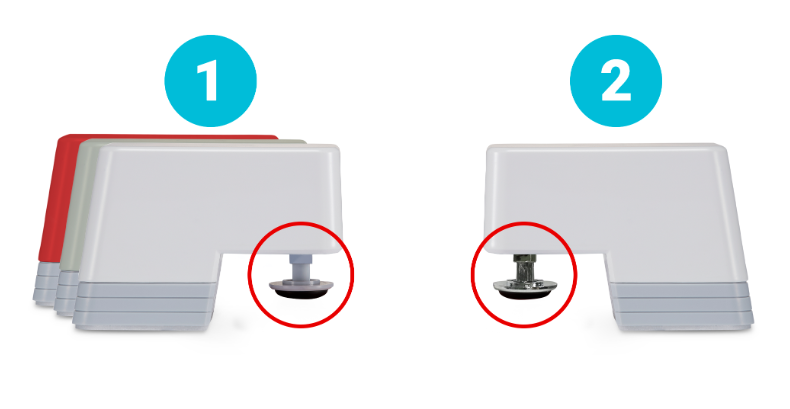 To update the firmware of your MicroBot, please see this article for instructions. The Prota service has been discontinued. You can learn more here. Prota only works on the Legacy MicroBot Push App if you are using the Prota service. At this time, Prota S and Prota Pi do not work with the new MicroBot app. BEWARE: DO NOT upgrade your MicroBot Push firmware if you are using Prota. Stay on the legacy MicroBot Push app until the new MicroBot app is updated to work with Prota. We’re sorry for this inconvenience.